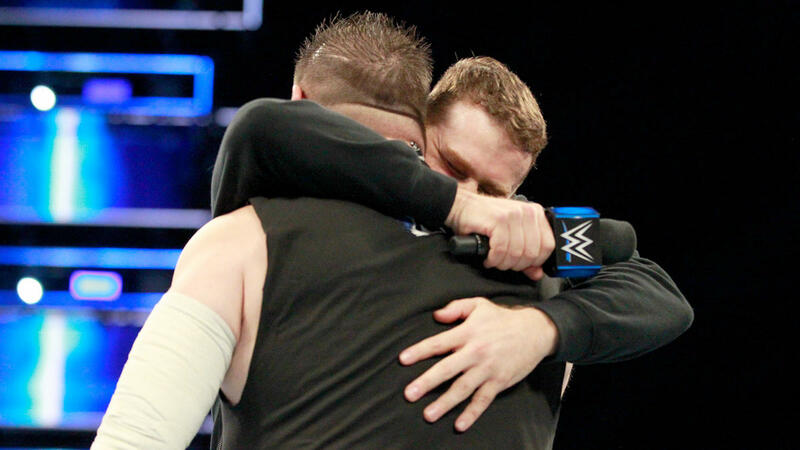 On SmackDown Live, Sami Zayn explained why he decided to rebel against Shane McMahon and align with his bitter rival, Kevin Owens. Zayn stated that the actions of Shane climbing up to the top of the cage when he had Owens beat showed that he did not care about the well-being of anyone. In addition, Zayn felt that he has been overlooked by the commissioner since being promised an opportunity after defecting from Raw. While Zayn has received championship opportunities, he has failed to capitalize on them. In contrast, Owens has used underhanded tactics to win the Universal, United States, and Intercontinental Championships. During his promo, Owens explained that Shane is battered, bruised, and is done with WWE for good. This left fans wondering what is next for the villainous duo. At the end of the segment, the two embraced and repeatedly announced each other’s names. With both the WWE Championship and the United States Championship occupied with feuds, the belief is that Owens and Zayn will enter the tag team scene to put a stake in the division and seek the championships. Interestingly, for Zayn, this would be his first championship since debuting on the main roster in 2016. The duo of Owens and Zayn as a tag team seems to be the next direction of their SmackDown Live tenures. According to the Wrestling Observer Radio, the two could begin a feud with The New Day soon and, eventually, for the SmackDown Live Tag Team Championships. The belief is that The New Day will capture the titles again, since the plan is for them to break the record of total reigns, and their feud will be against Owens and Zayn. As seen on SmackDown Live, The Usos called out The New Day to call a truce after their highly-acclaimed match at Hell in a Cell. Then, the Hype Bros, Shelton Benjamin & Chad Gable, Breezango, and the Ascension all came out and stated that they wanted an opportunity at the titles. General Manager Daniel Bryan then scheduled a No. 1 contenders match. However, The New Day were not a part of it, which could imply that they will be stepping away from the title picture momentarily.